Audi has been slow to the market with a hybrid, but has it been worth the wait or is it too little, too late? Based on the capable Audi A3 Sportback, the e-tron sees the 1.4-litre petrol engine partnered up with a 102PS electric motor. Working together they produce an impressive 204PS, potentially making the e-tron more of a hot-hatch than an eco-warrior. 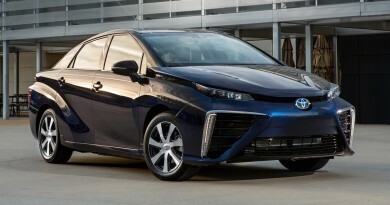 For something that’s intended to be a green option, performance figures are impressive; the 0-62mph dash is dispatched in just 7.6 seconds, but a large battery pack providing 31 miles of pure electric range and CO2 emissions of only 37g/km reinforce the fact that it’s a suitably eco choice. All that power means it’s more than keen to spin up the front wheels when pulling out of a junction, but beyond that the A3 e-tron behaves itself. There’s an extra 200kg of weight to be carried around thanks to the battery pack and electric motor, which makes on-the-limit handling a little more wayward than the standard A3, but there’s ultimately plenty of grip. But it’s also a premium family hatchback, so being fast and frugal won’t be enough to win out. 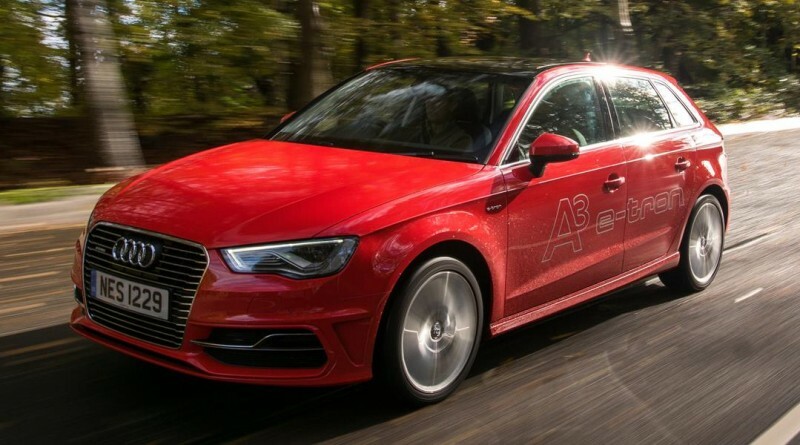 That’s where the surprising benefit of that extra weight comes in; the ride quality is noticeably softer and smoother than the rest of the ‘normal’ A3 range. Combine this with near-silent driving and light, well-balanced controls when crossing the city in electric mode, and it makes a very relaxing proposition. Only at speed is the hushed environment disturbed by some rather intrusive tyre noise. The interior is virtually indistinguishable from the normal A3, with the addition of an EV button to cycle through the drive modes being most obvious change. Ahead of you the rev counter has disappeared, replaced by an eco-meter that displays how efficiently you’re driving, and what power sources are being used. The rest of the car is typical Audi, giving you an understated but confident cabin that is bolted together exceptionally well. There’s enough space for four adults in the car, although the boot is robbed of some space by the battery pack. That’s not a huge issue itself, but then further space is rendered unusable by having simply the most enormous case for the charging cables and such like. How so few cables can take up so much space is incredible. As you’d expect, there are Isofix attachments in the rear seats, and the seats themselves fold down to create a bigger boot. It’s not exactly cavernous though, so don’t think you’ll be able to take the entire family on a three-week camping holiday. Even a couple of large suitcases could be a stretch. An official economy figure of 176.6mpg (an unobtainable figure in real life, but blame the EU for that and not Audi) and CO2 emissions of just 37g/km should make it cheap to run, with no car tax to pay and filling station visits few and far between. All told it’s a fine demonstration of why being late to the market can be a good thing. It’s given Audi the time they need to perfect the product, coming up with a hybrid that is, at the very least, an equal to the best out there. An asking price of £33,190, once the government has put their £2,500 plug-in car grant in, compares reasonably favourably to the £27,905 asked for a similarly equipped A3 2.0 TDI, and you’ll end up with a cleaner, greener and faster machine with the e-tron. 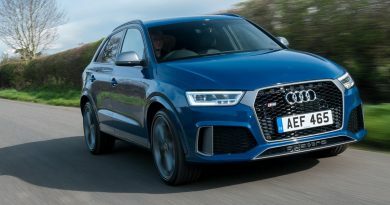 The delay in Audi getting a hybrid on sale might be down to the fact that the market for such a vehicle is currently pretty small, but that hasn’t stopped their first attempt being a top drawer effort.